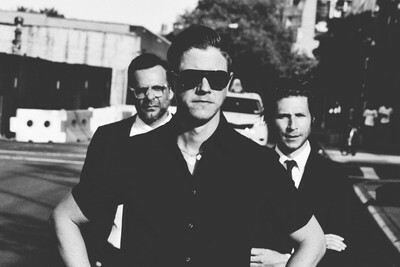 Interpol were one of the most stand out bands of the last decade and even now they’re at the top of their class. That’s why, when they’re touring, you have to be there. A little mention has to be given to the excellent support act, Slaves. They’ve been cropping up more and more on the music scene and people, bands and publications are all talking about them. It’s easy to see why. The two-piece from Kent perform some real, balls to the wall old school punk in a modern way. They’ve got the lyrical attitude of The Damned and the simplicity of Black Flag rolled into one. It’d be great to see punk make a comeback and Slaves could lead the charge. But Interpol led the charge that was the post-punk revival, and what they did really stuck. That’s why they’re selling out venues 13 years on from the release of ‘Turn On The Bright Lights’. Even now, they’re releasing mind-blowing stuff like ‘All The Rage Back Home’. With ‘El Pintor’ being their newest album, you know there’s going to be a lot of tracks from this record being played live. You don’t mind because it’s all true to the Interpol vibe that has been going throughout their career. That said, hearing classic tracks like ‘NYC’, ‘C’Mere’ and ‘Slow Hands’ is still exciting. Interestingly, they started with ‘Say Hello To The Angels’ in place of a track that’s had more airplay like ‘PDA’ and they ended with ‘Stella Was a Diver And She Was Always Down’, where you were kind of expecting to hear ‘Obstacle 1’. Any downsides to this gig? The venue. Leeds Beckett SU has housed many great gigs and been ideal for those but it was just too small for a band like Interpol. When a band with that much pull comes to Leeds, they’re better off somewhere like O2 Academy. What happens in this case, though, is that people are crammed into the room with the stage. There is no space to dance and you face that situation where if the person in front is the same height or taller then you have no view of the stage. Some people just hang outside the room and watch the gig through the doors. But it still stands; seeing Interpol live is a treat and the same goes for Slaves.